Nach is a young woman who started to take an interest in krump – the acronym for after watching David LaChapelle’s movie Rize and running into one of these dance performances in front of the Opera of Lyon in 2005. From urban rituals on the roofs of the Porte de Montreuil to « Éloge du puissant royaume” by the contemporary dance choreographer Heddy Maalem, Nach says that she is “exploring the territory of her inner lights and shades […] and playing with the ambiguity of her androgynous body, two beings conversing within a same body”. As, like all the krumpers, Nach is herself and her avatar, her persona. In her dance solo Cell (Cellule), locked-up, she escapes alluding to the movies by David Lynch but also the autobiographical works by photographers such as Francesca Woodman, Nan Goldin or Antoine d’Agata. Video projections coat the walls of this cell with interplays of close-ups on embracing bodies. Of krump – this very codified and hierarchised dance born in Los Angeles in the 2000’s following race riots, Nach is presenting a personal version, freed from the past but loyal to the peers of the movement. The street was Nach’s first dance school. 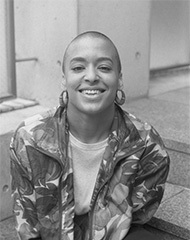 After the whirlwind created by David Lachapelle’s documentary film Rize, she started learning Krump in front of the Opéra de Lyon and in the Paris region. By joining Heddy Maalem’s company in 2013 she perfected her learning of contemporary dance. In search of new encounters and multidisciplinary artistic collaborations, Nach performed with theater director Paul Delore, offering an encounter between live music, theater, literature (texts by Sony Labou Tansi and Dieudonné Niangouna) and video. Her dance is inspired by the traditional arts and dances of Africa and Asia, like Kathakali (India), and other traditional Korean or Senegalese dances. She also draws her inspiration from literature, photography and audiovisual art. Suzuki Ryu is a triple prize winner at Yokohama Dance Collection 2017. He received the French Embassy Prize for Young Choreographer. He is also the winner of the MASDANZA Award and the FITS Prize. 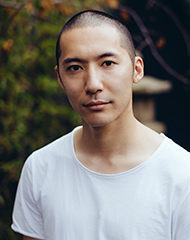 His international accomplishments include performing with the 〈Phoenix Dance Theatre〉 in London, Akram Khan, Sidi Larbi Cherka oui, Philippe Decouflé, Hirayama Motoko, Kondo Ryohei and more. This is the awaited Japan premiere of“AFTER RUST”, created during his time as a resident artist in France in Spring 2018, and has been performed in France, China, Vietnam as well as Sibiu International Theatre Festival in Romania. Wondering what happens after rust became the inspiration for this work, a solo performance in which he explores physical and mental ‘rust’ in search of his physical language. Born in Yokohama, raised in Yamanashi, Wakayama and Tokyo. Graduated Rambert School in UK. During at Rambert. He moved his base to Tokyo and has worked with Sidi Larbi Cherkaoui, Philippe Decouflé, Tero Saarinen, Inbal Pinto/Avshalom Pollak, Tristan Sharps, Motoko Hirayama, Ryohei Kondo, Kenta Kojiri, and many others. As a choreographer, he has created many works and “Agnus”(2013) has won Session Best Prize from Kagurazaka Session House. In Yokohama Dance Collection 2017 Competition1, “BU” has won Prize for young choreographer from French Embassy, MAZDANSA　Prize and FITS Award from Sibiu International Performing Arts Festival.